1 (a) Find out relations between ?, ? and ? as current amplification factors for CE, CB, CC configurations. (5 marks) 1 (b) State ideal and practical characteristics of Op-Amp. (5 marks) 1 (c) Convert following decimal number to Binary, Octal, Herl-equivalent and gray code. (i) (306.8)10 (ii) (147.8)10(5 marks) 1 (d) Add (57)10 and (26)10 in BCD(5 marks) 1 (e) Convert S-R flip-flop to D-flip-flop(5 marks) 1 (f) Explain parallel input, serial output shift register. (5 marks) 2 (a) Determine the following for the fixed bias. (8 marks) 2 (c) Design a circuit to V0=15 (V1-V2) where V1 and V2 are input voltage to Op-Amp. 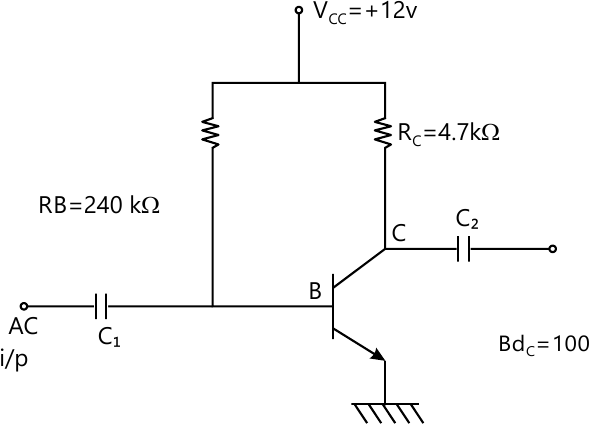 (4 marks) 3 (a) What are different methods used to improve CMRR in differential amplifier? (8 marks) 3 (b) Design a differentiator to differentiate an input signal that varies in frequency from 10 Hz to about 5 KHz. (8 marks) 3 (c) Explain Instrumentation amplifier using 3 Op-Amps. (4 marks) 4 (a) Design an astable multivibrator for an output frequency of 1KHz and duty cycle 40%. (6 marks) 4 (b) Minimize the following expression using K-map and realize using the gates. f(A, B, C, D)=?m(2,4,5,7,10,15)(6 marks) 5 (b) Implement full adder using demultiplexer. (6 marks) 5 (c) Design the divide by 7 (mod-7) asynchronous up-counter using J-K flip flop. Also state difference between synchronous and asynchronous counter. (8 marks) 6 (a) Explain universal shift register and its applications. 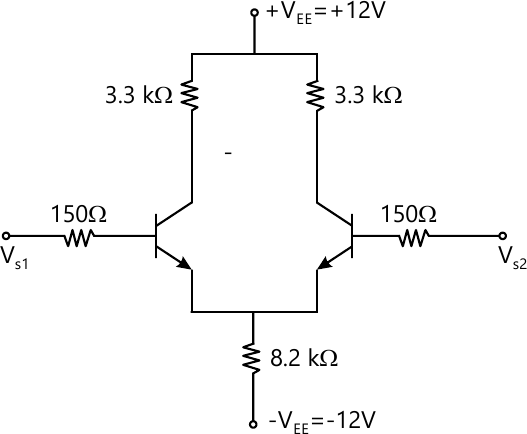 (6 marks) 6 (b) Explain VHDL(4 marks) 6 (c) What is Zener shunt regulator? Explain and derive stability factor. (4 marks) 6 (d) Realize following using only NAND gates.